A pint-sized capital with a seriously rowdy reputation, Dublin is a mecca for Irish-bound holidaymakers. Now, the latest figures from the Dublin Port Company confirm that its cobbled streets, classic pubs and charming ‘small town’ feel are set to attract more than 113 cruise ships in 2016. With the vessels come over 180,000 passengers, all in search of the city’s world famous blend of heritage and hedonism. According to Dublin Port Company head of corporate services Pat Ward, the city is “rapidly developing a reputation among the international cruise lines as a marquee destination that offers passengers easy access to a vibrant European city.” While it boasts the elegance and history of its fellow European metropolises, it also offers visitors an experience that’s endearing, energetic and intrinsically fun. With four turnaround cruises thrown into the mix, Dublin’s set to enjoy a boost to its tourism economy, with thousands of passengers beginning and ending their voyages in the capital. In fact, demand in Dublin is so high that the port is even receiving requests from cruise lines to expand capacity. “Demand in the market is so strong that Dublin Port is being asked by the cruise lines to accommodate ships much larger than we routinely handle,” revealed Ward. And Dublin is answering their calls, with work on the ambitious €230 million Alexandra Basin Redevelopment Project already underway. This will see Dublin Port build on its footprint, with a four-year completion estimate. Once completed, super liners will be able to call at Dublin Port, manoeuvre within the enlarged Alexandra Basin West, then sail upriver and berth at the East Link Bridge. “With the ABR Project largely complete in the next four years, Dublin Port will have the enhanced infrastructure and capacity to meet market demand for future years,” commented Ward. Ready to keep the Guinness family in business? It’s great news for Dublin’s tourism industry, and even better news for cruise aficionados with a weakness for Irish hospitality, cosmopolitan museums, hearty food, layers of history and of course, an iconic pint of the nation’s iconic Guinness. And with over 1000 pubs to indulge in a tipple, visitors are spoilt for choice! 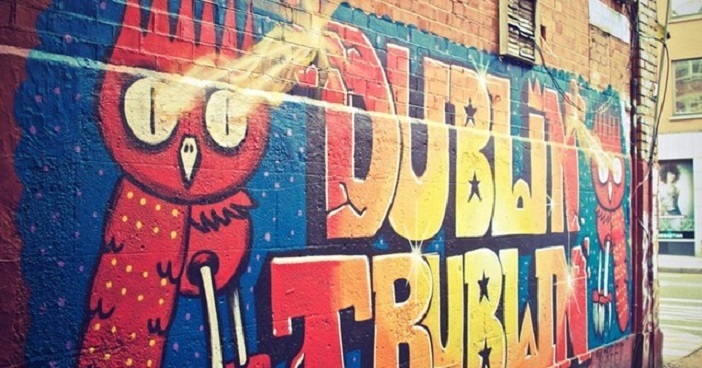 Want to explore all that Dublin has to offer? Head to Cruise 1st for a huge range of Irish itineraries that venture to the Emerald Isle, and beyond. Cunard’s June 20 voyage is one of our hands down favourites, with 15 nights spend on-board the stunning queen Elizabeth.